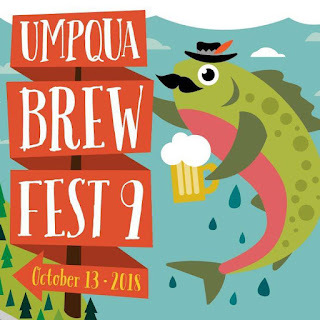 Umpqua Brew Fest: You Still Have Time to Get Your Iron Chef Tickets! You Still Have Time to Get Your Iron Chef Tickets! Have you purchased your Iron Chef ticket yet?! Tickets are $12. Tickets are available at Umpqua Watersehds Office and UCC Ticket Office and on-line at tickets.umpqua.edu. 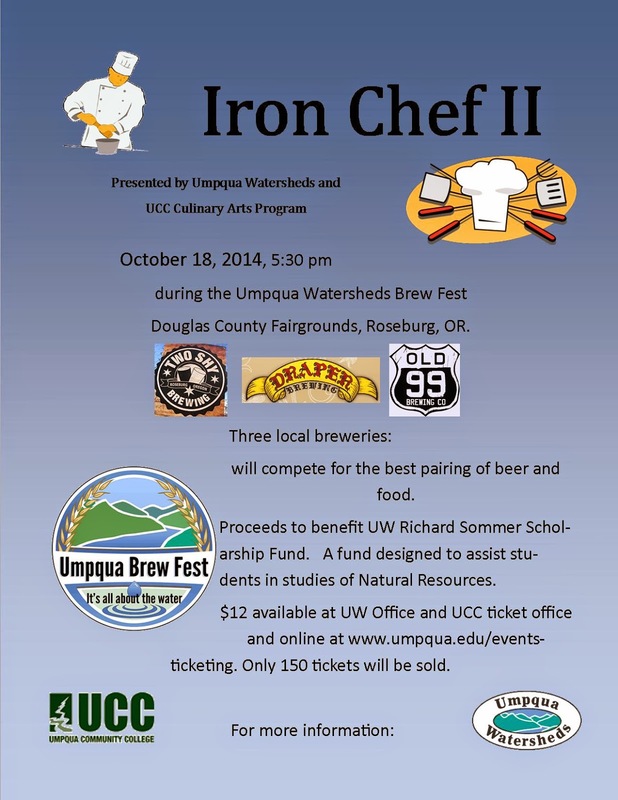 If you purchase an Iron Chef ticket, you get to be a judge in the competition. You'll be able to taste the beer (Old 99, Drapers, and Two Shy) and food combinations, and vote for your favorite pairing. See you in 3 days, judges and chefs!